This detailed review is going to be a new program called Ads Division. What is AdsDivision? Is it a scam and based on Ponzi business model? These are some of the confusions that I will be covering in this article. Ads Division is a regular revenue sharing opportunity that was launched on April 25, 2016. There is no information on the site about who own this site, but when you move to the Facebook page, there you find Jeff Martinez in the admin section. Tom Harding is also main supporter of this site along with other few people. Let’s look at few support staff. At the time of writing this post, the site has nearly 29,500 members and has paid over $3800 to them. The site is expanding fast and within few months it has reached Alexa 125,000 position. The most number of people visiting this site belong to Bangladesh and Russia. Their office and company are located in the Republic of the Marshall Islands, which is tax-haven. AdsDivision is a traffic exchange program, which distributes profits from sold and viewed ads among active users. If you are an online marketer, entrepreneur, business owner, and looking for unique traffic sources, to market your products and services to a truly targeted audience, then Ads Division is the best solution for you. How to Earn Money from Ads Division? Ad Packs are their primary product, and it allows you to be part of traffic exchange system and receive profit from company advertising activity. The price of ad pack is $5, and it offers 105% to 150% return on investment (ROI). Receive as many as 250 unique, real visits. 300 displays of your advertising 125×125 banner. 200 displays of your advertising 468×60 banner. The ROI depends on the group in which you fall. A member can have a maximum of three groups. If you create a group, you become its leader. It is up to you how many people will join it. Depending on the finished groups in past as leader, there is a bonus waiting for you in the form of an additional commission on the daily charges earned by its members. Don’t waste any more time! 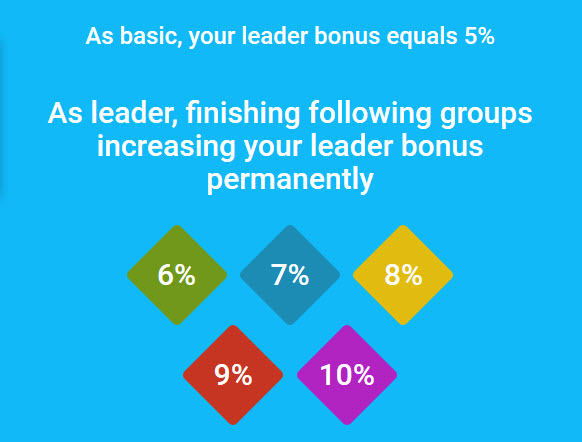 Create your own group, promote it, and grab the Leader’s bonus! Green Group – The green group earns you a 110% return on each package. You will also get a prize for lifetime 6% leader bonus of the daily charges earned by the other members of the group. The minimum number of packages needed to create this group is 20 ($100). Blue Group – The blue group earns you a 120% return on each package. You will also get a prize for lifetime 7% leader bonus of the daily charges earned by the other members of the group. The minimum number of packages needed to create this group is 100 ($500). Yellow Group – The yellow group earns you a 130% return on each package. You will also get a prize for lifetime 8% leader bonus of the daily charges earned by the other members of the group. The minimum number of packages needed to create this group is 200 ($1000). Red Group – The red group earns you a 140% return on each package. You will also get a prize for lifetime 9% leader bonus of the daily charges earned by the other members of the group. The minimum number of packages needed to create this group is 500 ($2500). Violet Group – The violet group earns you a 150% return on each package. You will also get a prize for lifetime 10% leader bonus of the daily charges earned by the other members of the group. The minimum number of packages needed to create this group is 1000 ($5000). To open bigger ROI groups, you have to finish as leader below level group. For instance, after finishing as leader a green group you are ready to create a blue group. Note that each member must watch ten ads daily to qualify for revenue share. 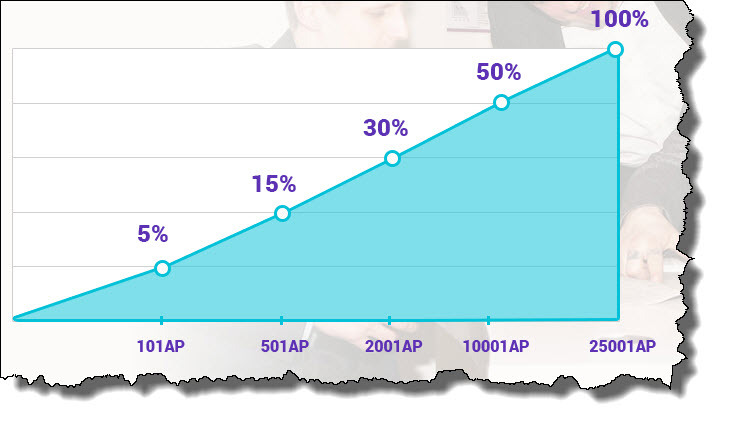 Ads Division affiliates can increase the rate of ROI paid on their packs by up to 100%. There is no daily fixed percentage disclosed by AdsDivision. Ads Division offers three levels referral commission that pay 7% on the 1st level, 2% on the 2nd level and 1% on the third level. Passive Earnings Opportunity – If you had spare money and wanted to risk it without doing any work then Ads Division can be the reasonable opportunity for you. This doesn’t require any work and specialized education to earn money apart from watching ten ads daily. Just finance your account and watch your capital grow. The admin will control all the funds on the part of you. Several Earning Opportunities – There are a variety of ways in Ads Division you can apply to earn money online including revenue sharing and affiliate commission. The real power comes from packs, but it requires a hefty investment. Support – Ads Division has created a Facebook group for members to interact and get a reply from any queries as fast as possible. I personally didn’t participate that group whether it is working or not but something is beneficial than nothing. Unsustainable Business – Currently, Ads Division doesn’t have a quality product and reliable stream of income to pay its members. They are just shuffling funds from one member to another member. It is only a matter of time when people stop investing in Ads Division, and the whole scheme will be collapsed. Requires Massive Investment – To get some solid income every month, you must expend a large sum of money. Moreover, with such sites, initially, you must use the power of compounding for few months to grow your packs quickly and then cash out money slowly. On the other side, you have to take a much higher risk. Worthless Product – I have joined many companies in the past (Revenator, BeOnPush, Paidverts) and used their product, but they all are true crap. You could rarely get any affiliates or sales. The reason people join such sites are due to their passive income sharing opportunity, and they don’t have any interest in their product “traffic exchange”. PayPal Issue– They don’t offer PayPal as a payment processor. If helps them to avoid strict policies of PayPal and at the same time add more risks for investors. Everyone knows that PayPal is much more secure than any other payment processors. Ads Division is a new site and offers typical revenue sharing opportunity to its members along with some new concept. I don’t see any solid revenue streams that help this system to sustain for a long term. Currently, it seems like a pure Ponzi model. My honest recommendation is not to invest in this platform because of the obvious reasons I have declared above. Such programs are very risky as they need substantial investment but get shut any time. Unless Ads Division adds few more stable revenue streams that can make it more sustainable, I cannot recommend this site to anyone. If you are looking for building a reliable and genuine online business that will generate a long-term income for you, then see my #1 recommendation.